Roof to Deck Decoration helps create a merry, magical feel in your home, office, or even the entire city with our professional holiday lighting services. 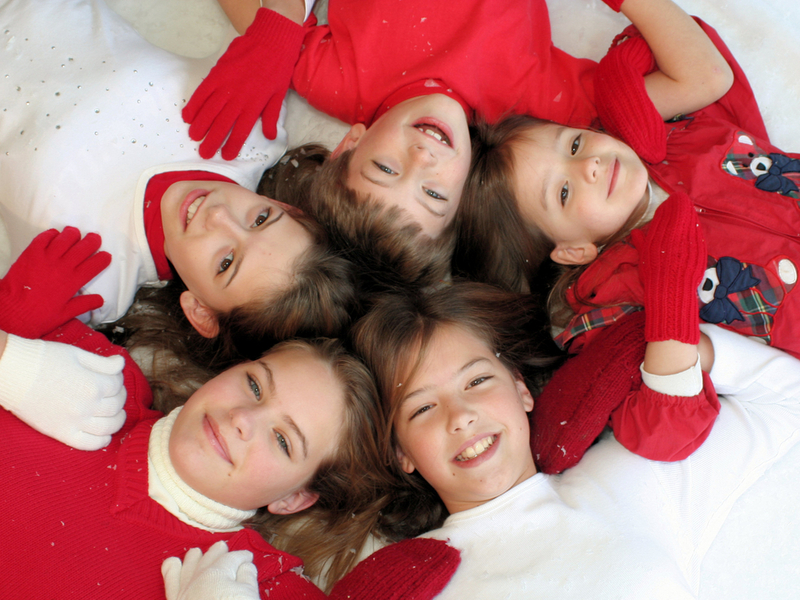 We help you give your area that distinct feeling of warmth and festivity, minus all the hassle. 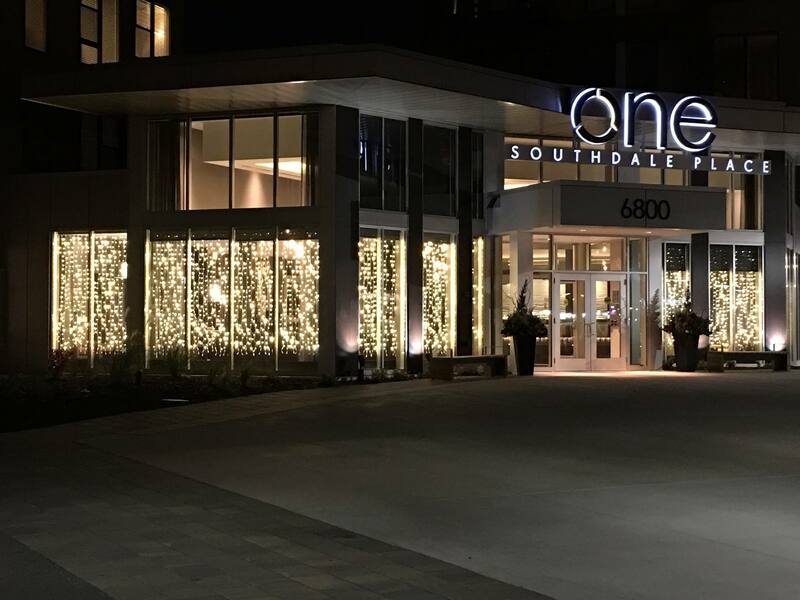 As the go-to holiday Christmas lighting specialist, Roof to Deck Decoration handles every process involved in setting up festive holiday decorations for businesses, homes, and municipalities in St. Paul and surrounding areas in Minnesota. Let us know how you envision your holiday decorations and leave it to us to design and install it for you. For a hassle-free experience, we also take care of removing your LED Christmas lights when the holidays are over and storing them for you. To help you save and ensure the on-time completion of your project, we don’t hire subcontractors. We do the work ourselves. Our team goes above and beyond when installing holiday Christmas lights. We make sure you get the best value for your money by using only safe, long-lasting, and environment-friendly products on every design and installation project. We have the capacity to handle Christmas lighting installation projects of any scale. We handle residential, commercial, municipal holiday lighting. Whether you’re welcoming back a family member or simply want to give your home a more festive feel, we’re here to make your holiday decorations extra special. We design and install beautiful, unique holiday lights that add to the warmth and joy of Christmas, providing the perfect background for family photos. Draw customers to your shop or ingrain your brand into your prospects’ minds with an awe-inspiring Christmas light display. 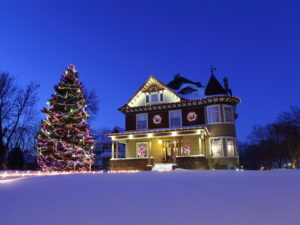 We install holiday Christmas lighting that creates an atmosphere of giving and cheer. Let us dress up your office with a full holiday garb as you focus on fulfilling the outpour of holiday orders. Spread the holiday cheer to the entire town. Roof to Deck Decoration offers our services to cities, towns, and municipalities across the Twin Cities metropolitan area. Our talented design consultants will collaborate with your local leaders in designing a spectacular holiday lights display that reflects your community’s unique character and history.